Daniel Craig is setting himself up for a post-Bond career with Logan Lucky, Purity, and Kings. As great a gig as playing James Bond is, it doesn’t lend itself that well to a life post-007. Audiences come to identify you too closely with the role of suave British superspy, which you got because of how naturally you fit that persona in the first place. Afterward, any decision to cast you comes with that added baggage. Only one of the first five actors to play Bond, Sean Connery, remained a major draw after he hung up the tuxedo. Two others, Pierce Brosnan and Timothy Dalton, continued to work productively, but in lower-wattage roles. The other two, George Lazenby and Roger Moore, basically saw their careers end with Bond. 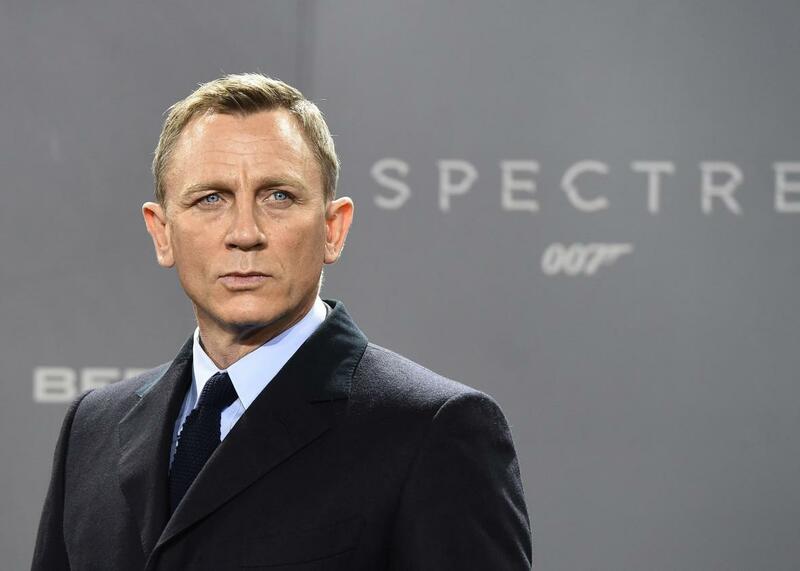 All of this is likely on the mind of Daniel Craig, who starred in his fourth Bond film, Spectre, last year, and has not yet given a concrete answer about whether he’ll return to the role. During the Spectre press tour, Craig claimed he’d rather “slash [his] wrists” than play Bond again, but at a recent appearance, he didn’t seem quite ready to hang up the role, telling the crowd, “I’ll keep doing it as long as I still get a kick out of it.” Still, he said, he had had “no conversations” with the film’s producers about the next film: “Everyone’s a bit tired.” If he does decide he’s had enough of the 12-month shoots and NFL-level injuries that come with the role, Craig will have to face down the same dilemma that Connery, Lazenby, Moore, Dalton, and Brosnan faced before him: How do you convince the public that you aren’t James Bond anymore? In some ways, Craig also emerges into a different entertainment world than the one from which he entered as Bond. Casino Royale came out in 2006, before both Iron Man and The Dark Knight, meaning that comic-book movies had yet to become the industry’s dominant force. With that shift also came an expectation that most major, and even serious, actors would also have their own franchise, making Bond likely less of an albatross for Craig than it might’ve been for his predecessors, who worked in eras when those types of ongoing character obligations weren’t nearly as common. Last year’s Best Actor nominees featured Michael Fassbender and Matt Damon, two men who have long-standing franchise roles, and while neither of those roles are Bond, it’s still a sign that the environment for A-list actors has changed. More important is what Craig seems to be doing to address this dilemma. Right now, he has three major post-Spectre roles lined up, and each is important in a different way. The first is Logan Lucky, Steven Soderbergh’s return to big-screen directing, a lighthearted heist movie about two brothers trying to rob a NASCAR race. Craig is part of a dynamite ensemble cast that also includes Channing Tatum, Adam Driver, Sebastian Stan, Riley Keough, Hillary Swank, and Katherine Heigl. Even better, his appearance in the film is a far cry from the Bond look; if anything, his bleached hair, bad tattoos, and old-timey prison uniform could serve to dislodge the memory of a supersuave secret agent. Even better, Craig has stuck a toe in that most image-remaking medium of modern entertainment: prestige TV. He’s producing and starring in Purity, Showtime’s 20-episode adaptation of the Jonathan Franzen novel, which should be the kind of television event that draws both eyeballs and Emmys. Actors as diverse as John Travolta and Bryan Cranston can tell you that the new television landscape offers maximum opportunity to inhabit a role and, as a result, shift an audience’s perceptions and expectations. It’s the perfect vehicle for someone trying to leave the baggage of a role like Bond behind; there’s nothing like 20 hours in a new character’s skin to make the old one feel like a long time ago. Finally, Craig’s been attached to Kings, the English-language debut of Deniz Gamze Ergüven, who broke out in 2015 with her remarkable, Oscar-nominated Mustang. The film would see Craig play a resident of South Central alongside Halle Berry during the 1992 Los Angeles riots, and, though it’s admittedly early, it appears to be the kind of well-heeled, reality-based project that ideally competes for Oscars. (To ward off any controversy about a white-savior narrative, Craig has said that his part will be much smaller than Berry’s.) It’s too early to tell exactly how Kings will turn out, but, combined with Logan Lucky and Purity, it creates a solid triptych of projects that might begin to usher Craig into the next wave of his career, should he decide to give up martinis and gunplay for good.